His words were so touching, and so profoundly true, that I asked for his permission to share these on my blog. I am learning every minute of every day. I want to learn everything you know. I’m only ___ years old. Assume I do everything with good intent until you know otherwise. Please guide me with a gentle hand. Please give lots of hugs. Please say ‘I Love You’ everyday. Please let me talk to you at any time. Please ask me before you assume I did wrong. You don’t have to be perfect, just be Dad and Mom. I look forward to seeing you every time we are apart. 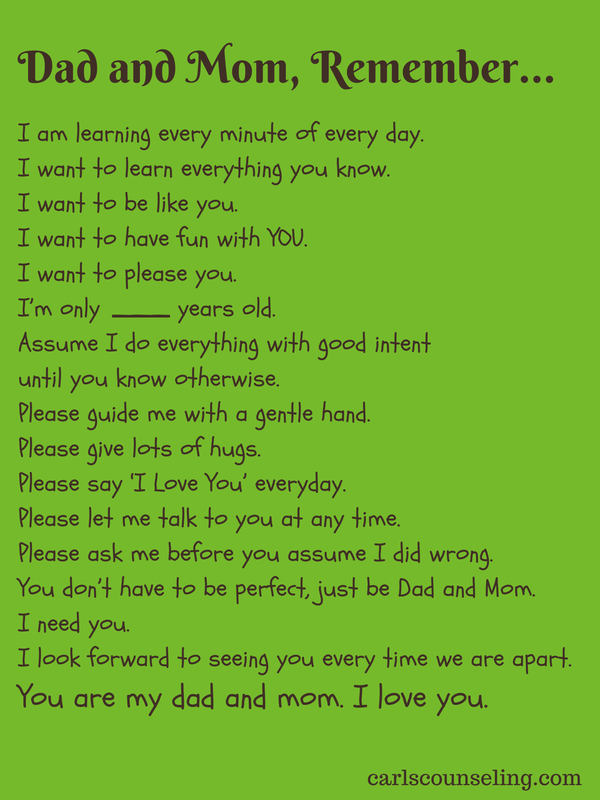 You are my dad and mom. I love you.